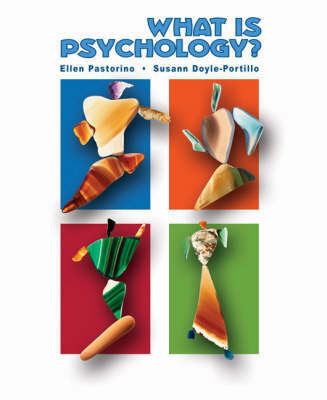 By focusing on material most relevant to the Introductory Psychology course while maintaining the narrative flow, authors Ellen Pastorino and Susann Doyle-Portillo invite students to see the big picture of psychology as opposed to a collection of fragmented ideas. With an unparalleled integration of diversity, applications, and critical thinking, "What is Psychology?" captures and holds students' interest using "The Big Picture," a real life story of a person whose experience illustrates the concepts of the chapter. Upon entering this course, today's students ask "Why should Psychology matter to me?" Drawing from their own research and first-hand work in classrooms on assessment, inclusion, and reaching under-prepared students, Pastorino and Doyle-Portillo answer this question using practical everyday examples focused on the student (e.g., asking students to design a research study based on the hypothesis that listening to rock and roll facilitates studying).